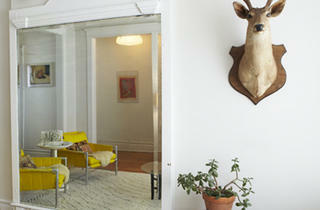 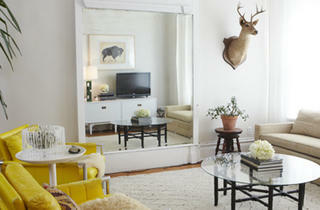 Photograph: Lisa PredkoThe deer head in the living room came from an online auction. 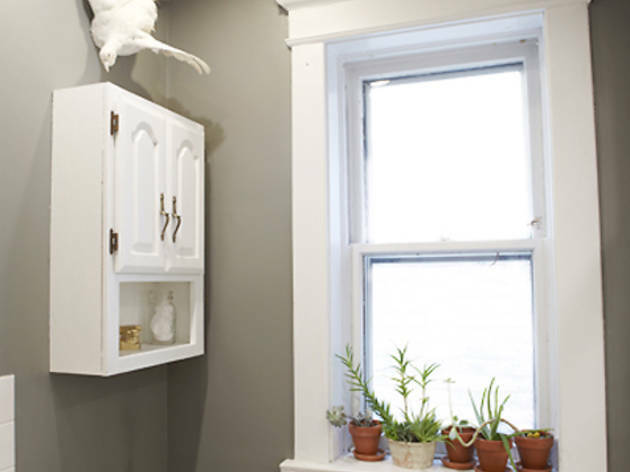 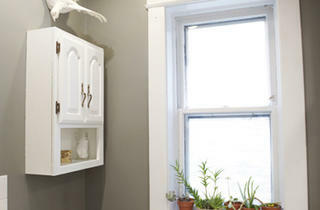 Photograph: Lisa PredkoAn albino pheasant purchased on eBay hangs on the bathroom wall. 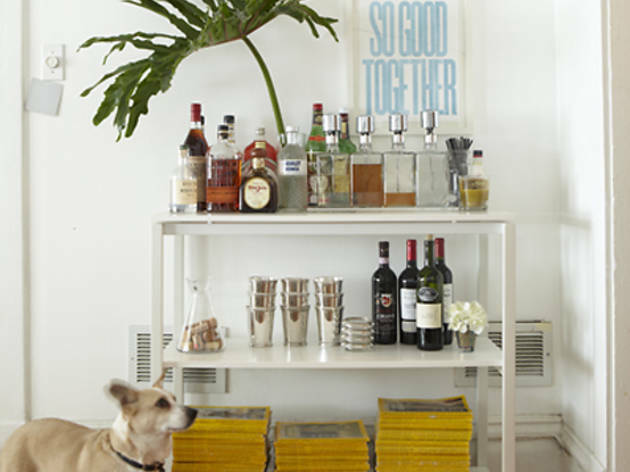 Photograph: Lisa PredkoAfter a long search for the perfect vintage cocktail cart, Fisher recently found this shelf at IKEA to stow her stash. 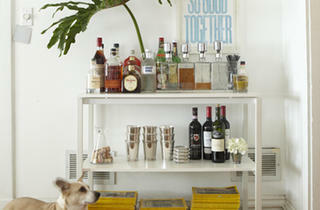 She picked up the decanters at a flea mall in Lexington, and the sterling silver julep cups are family heirlooms. 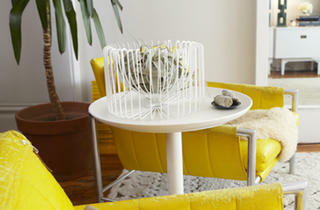 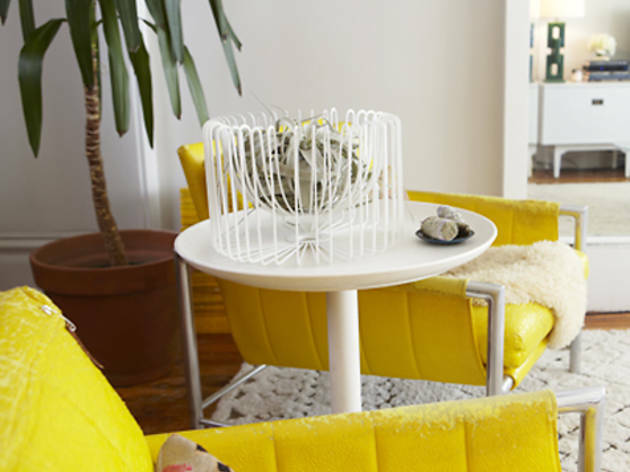 Photograph: Lisa PredkoThe yellow chairs were a Craigslist score. 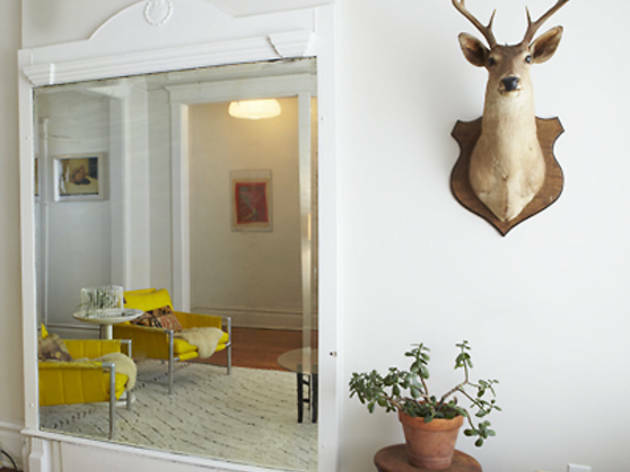 Publicist by day, interior designer by night and weekends, Dean Fisher lives in a gray-stone three-flat in Logan Square with her corgi/beagle mix, Bunny (yes, it’s confusing). 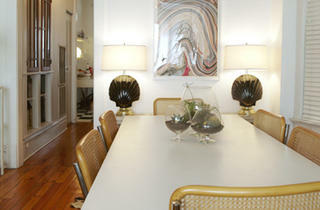 As for her knack for design, you, reader, can benefit from her keen eye. 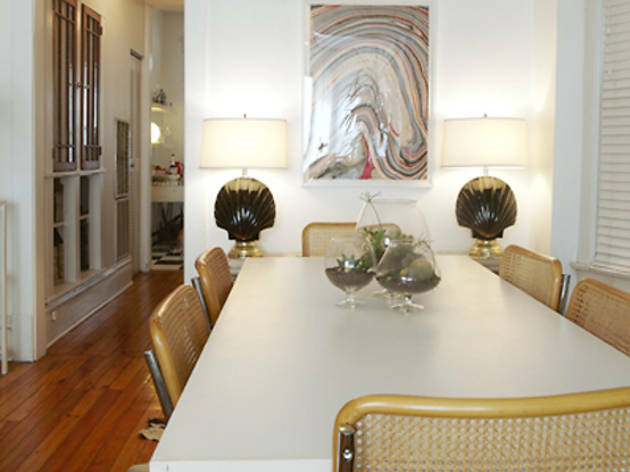 After Fisher started blogging at My Little Apartment about interior design a few years ago, she landed an internship with famed interior designer Kelly Wearstler, which led to “kinda starting my own business,” Fisher says. 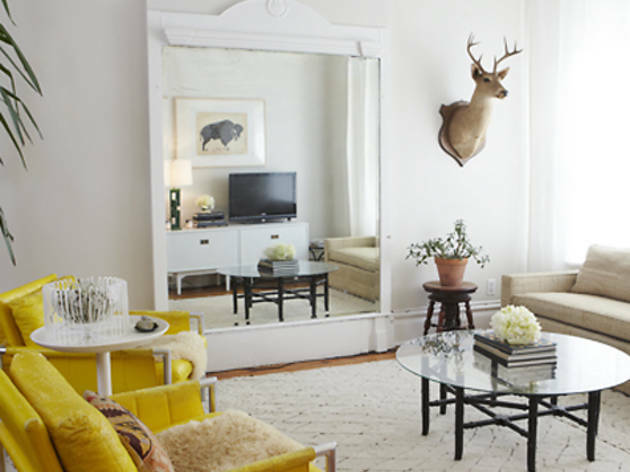 Check out Fisher’s South Social & Home for help with anything from personal shopping to apartment redesigning to party planning.